Mr. Jordan has become a high-profile competitor on the South Florida scene through a combination of exceptional performance and uncommon endurance. The 7-year-old gelding has won 10 of 34 races, including eight stakes, and more than $830,000 in purses during a five-year career that includes a graded-stakes win and five other graded-stakes placings. The Eddie Plesa-trained warrior's resume is impressive, but the son of Kantharos still has some unfinished business. Despite his many stakes successes, Mr. Jordan will be shooting for his first success in the $200,000 Sunshine Millions Classic Saturday at Gulfstream Park. “It's a race we've tried to win in the past and weren't successful. Before this year, they said we weren't successful at Gulfstream, and we have been now,” Plesa said. Mr. Jordan, who is undefeated in five starts at Gulfstream Park West, had gone winless in his 12 starts at Gulfstream before winning the $100,000 Noble Drama Stakes in May. He enters the Classic, the 1 1/8-mile feature for older horses on Saturday's Sunshine Millions card for Florida-bred horses, off a last-ditch win in the face of adversity in the Millions Classic Preview at Gulfstream Park West Nov. 10. In the 1 1/16-mile Classic Prep, David Melin, Leon Ellman and Laurie Plesa's home-bred gelding was blocked at the top of the stretch after stalking the pace before Paco Lopez found room just in time to prevail by a nose over Deland to keep his record perfect at Gulfstream Park West. In both of his second-place finishes, Mr. Jordan held the lead in deep stretch before coming up short late. Plesa has confidence that the distance won't be an issue Saturday. With Lopez in Southern California Saturday, Jose Ortiz has been named to ride Mr. Jordan for the first time. Defending champion Jay's Way, who set the pace and came again late after being passed by Mr. Jordan in the stretch last year, was no match for the Plesa trainee in a tiring fifth-place finish in the Classic Preview. Trained by Armando De La Cerda, the 6-year-old son of Gone Astray is winless in four starts since his Classic win. Luis Saez has the call on the Midwest Thoroughbreds' gelding. Harold Queen's Noble Drama is another horse in the Classic field that owns a decision over Mr. Jordan, having finished nearly two-lengths clear of the Plesa trainee three starts back in the $150,000 Florida Sire Stakes Wildcat Heir, a one-turn mile for Florida-breds, at Gulfstream. Mr. Jordan turned the tables on the 4-year-old son of Gone Astray in the Classic Preview, in which Noble Drama finished late closing third. In his most recent start, David Fawkes-trained Noble Drama closed late over a sloppy track to finish a distant second behind heavily favored World of Trouble in a seven-furlong stakes for Florida-breds at Tampa Bay Downs. Nik Juarez, who was aboard for his win in the FSS Wildcat Heir, returns to the saddle Saturday. Two out-of-state stakes competitors – Dalmore and Forevamo – loom dangerous in the Classic. Owned by Ron Paolucci Racing, Ashley Quartarolo, Raquel Ritchie and Cristina Ritchie most recently finished a close second in the $100,000 Richard Small at Laurel Park Nov. 10. The 6-year-old gelded son of Colonel John had previously competed in a trio of graded stakes, finishing second in the Cornhusker (G3) at Prairie Meadows before producing a pair of off-the-board finishes in the Whitney (G1) at Saratoga and the Phoenix (G2) at Keeneland. Trainer Anthony Quartarolo gave the call to Irad Ortiz Jr.
Brittlyn Stable's Forevamo is coming off a victory in the $150,000 Zia Championship Handicap, contested over 1 1/8 miles at Zia Park. Trainer Steve Asmussen-trained 6-year-old gelding, who has placed in multiple graded stakes, will be ridden by Javier Castellano. 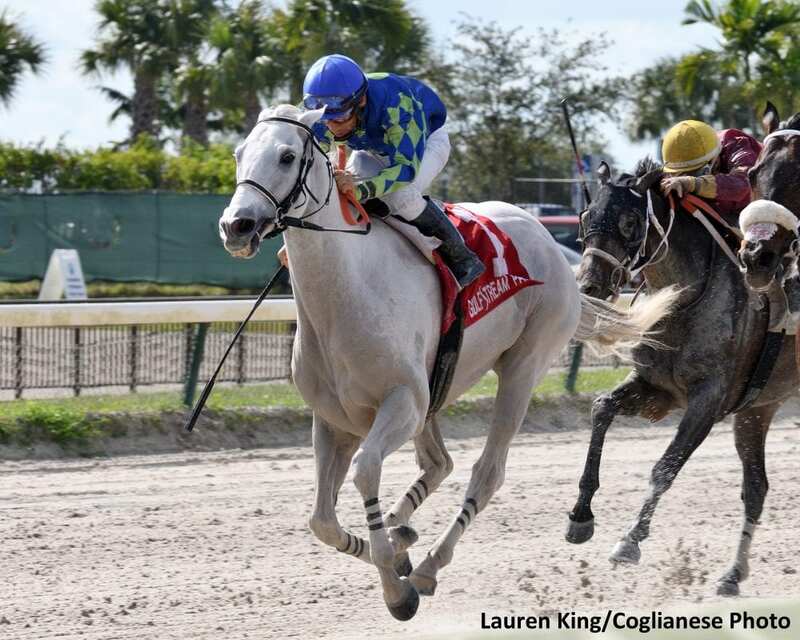 Live Oak Plantation's Souper Tapit, a graded-stakes winner at 3, capped his 4-year-old season with an allowance victory at Gulfstream Dec. 16 after finishing second or third in six consecutive starts. Trained by Mark Casse, the 5-year-old son of Tapit will be ridden by John Velazquez. Arindel's Transistor and Weisser round out the field. This entry was posted in Racing and tagged Eddie Plesa, gulfstream park, jay's way, jose ortiz, mr. jordan by Press Release. Bookmark the permalink.